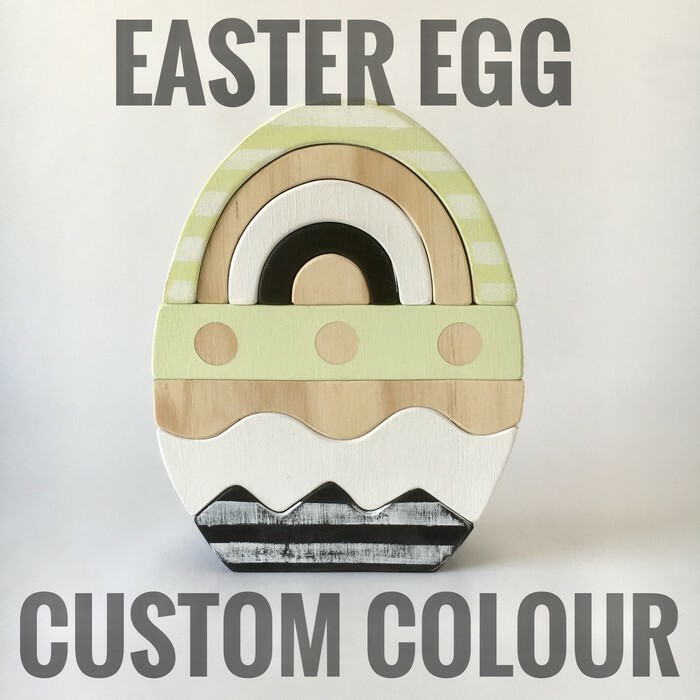 Wooden Easter Egg CUSTOM COLOUR! Add this listing if you would like a custom colour! If it is one I need to purchase it will be an extra $5 as I will need to purchase it. Please let me know the colour you are interested in. If you would like the exact colour please let me know the name of the paint sample from Bunnings.